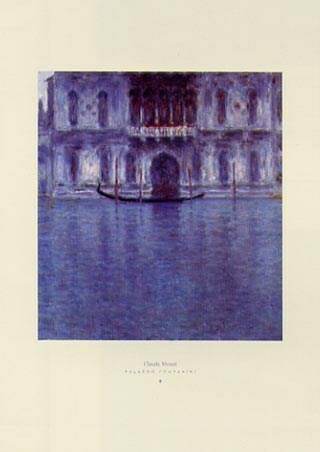 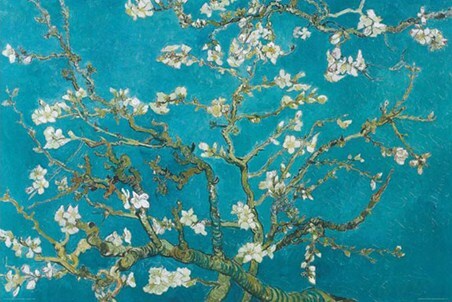 Art Print: French impressionist Claude Monet was an artist who enjoyed being outside and capturing the splendour of nature in his paintings. 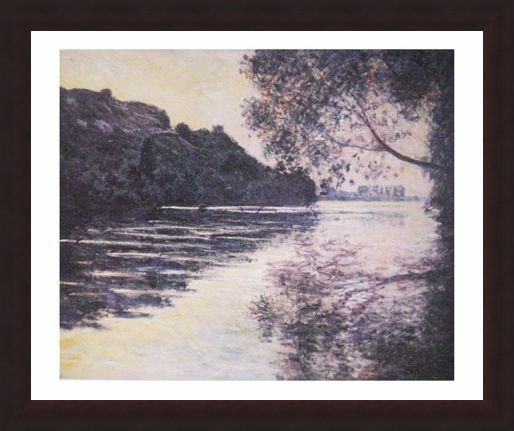 Much of his work focused on beautiful interpretations of landscapes and this stunning art print, titled 'Effect of the Sun on The Seine' shows his incredible ability to bring a seemingly ordinary landscape to life. 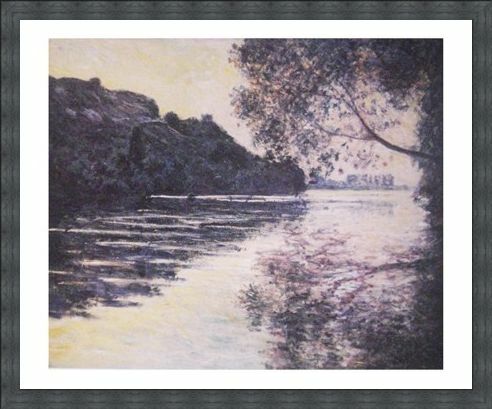 With the sun bouncing off the rippling waters of the Seine and the delicate leaves from the trees above reflecting off too, this picture would add a real splash of the wonderful French countryside to any room. 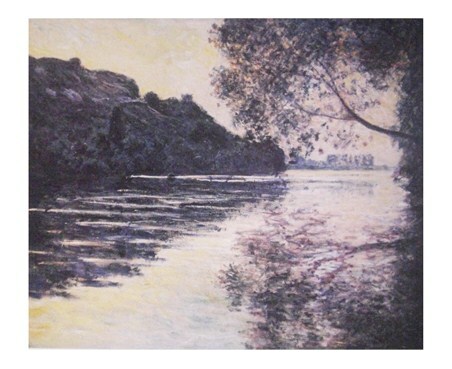 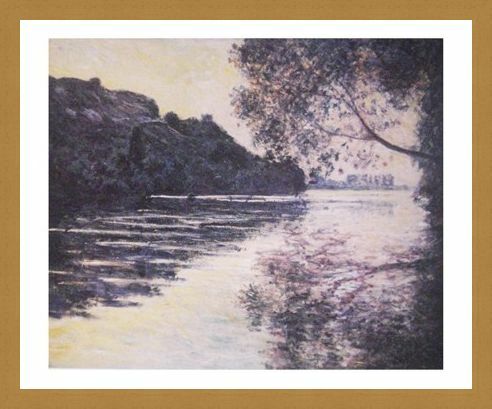 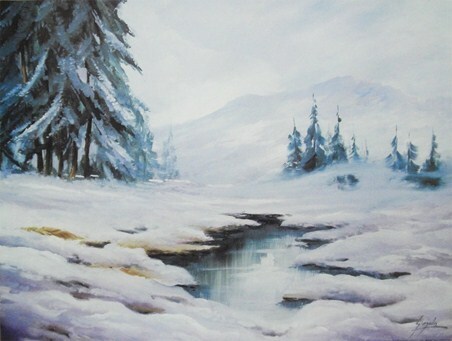 So if you love to watch to warm sun setting slowly behind a peaceful river scene, then how about hanging this art print by Monet in your room and having that beautiful image in your life every day. High quality, framed Effect of the Sun on The Seine, Claude Monet print with a bespoke frame by our custom framing service.